A thank you letter to Mrs. Hickox for the American Forests magazine she had gifted the library in Martha's absence. 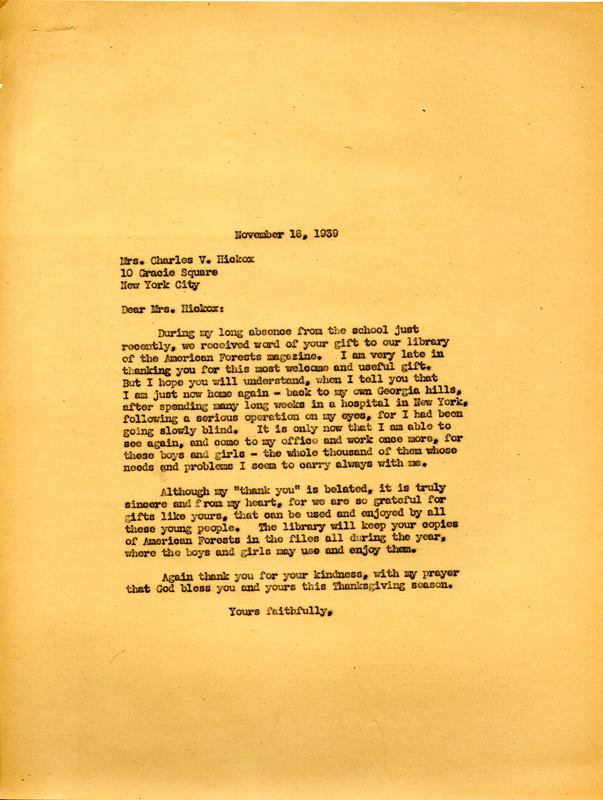 Martha Berry, “A Letter to Mrs. Charles V. Hickox from Martha Berry.” Martha Berry Digital Archive. Eds. Schlitz, Stephanie A., Savannah Harris, Jessica Hornbuckle, et al. Mount Berry: Berry College, 2016. accessed April 21, 2019, https://mbda.berry.edu/items/show/15196.